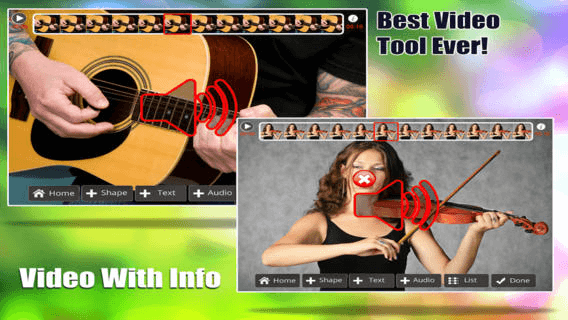 You will not believe your eyes to all of the amazing features we managed to incorporate into this easy to use and professional results video editing app! 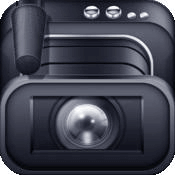 •Edit ANY video: record a new one or use an old one to create a masterpiece! 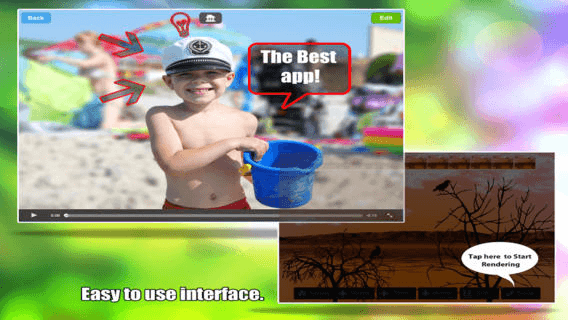 •Edit per frame or the whole video...your choice; unlike similar software! •Add SOUND; it can be mixed or instead of the original one! •Add TEXT: Choose where, font, size, color and even for how long you want it to appear...The possibilities are endless! 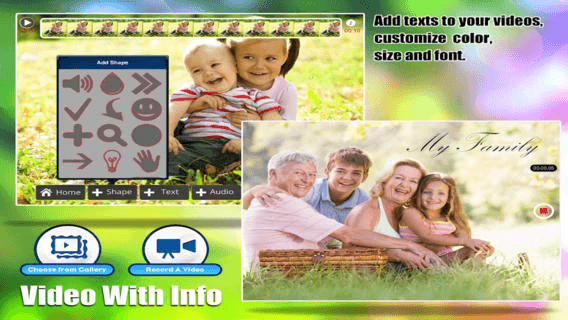 •Add IMAGES; Choose from a wide selection of professional looking images to add wherever and whenever you want them to appear in the video! •Organize your edits: this amazing app will even create a list of all the add-ons you used and from there you can edit them as well! •Share your creations instantly! With just one easy tap you can send it via email, save it on your native library for the future or even post it on Facebook! How much more complete can it be? You will not find anything even similar or professional as this app! 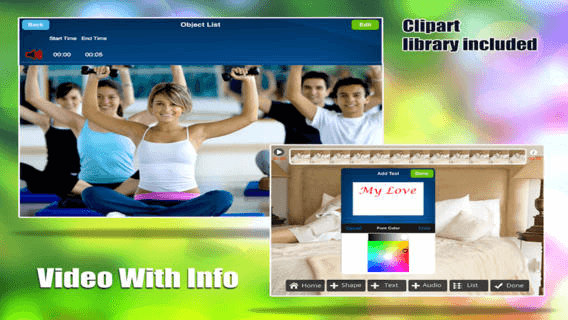 It was designed by professionals looking for a good all around video editing app. What are you waiting for? 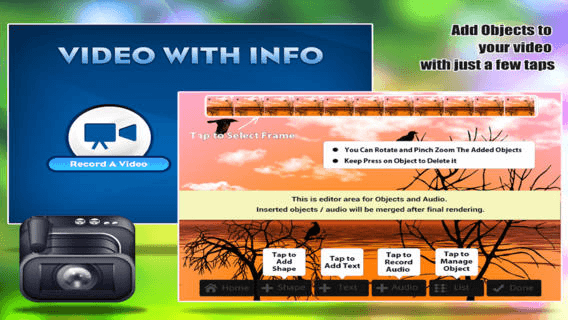 Start creating professional looking videos now!